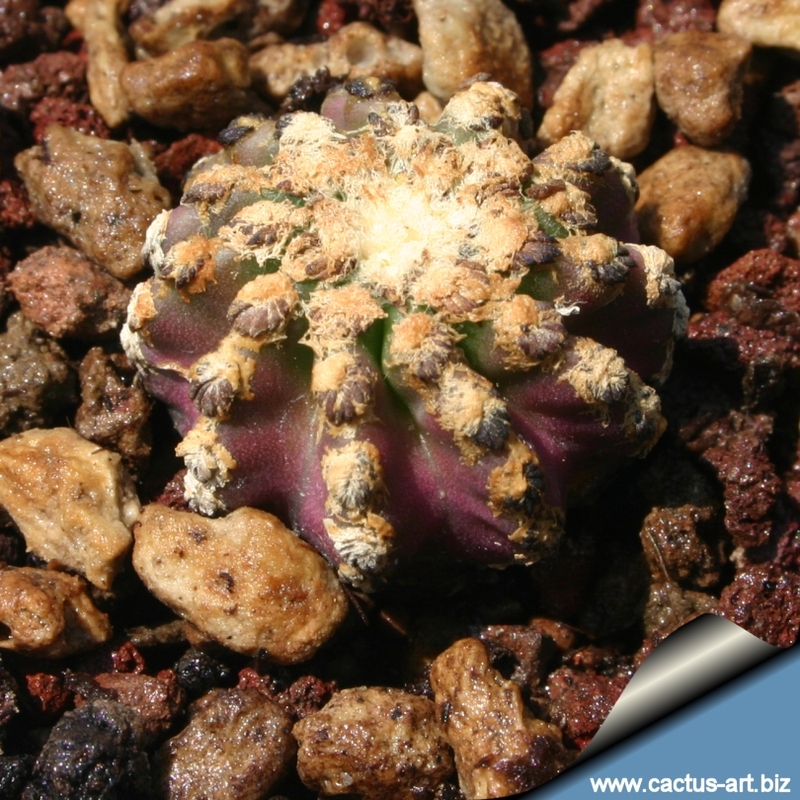 Discocactus horstii is a lovely and intriguing species surely one of the most interesting cactus, it more closely resembles some coral-reef creature than it does a plant. It has remained a rare collector’s items for long time. 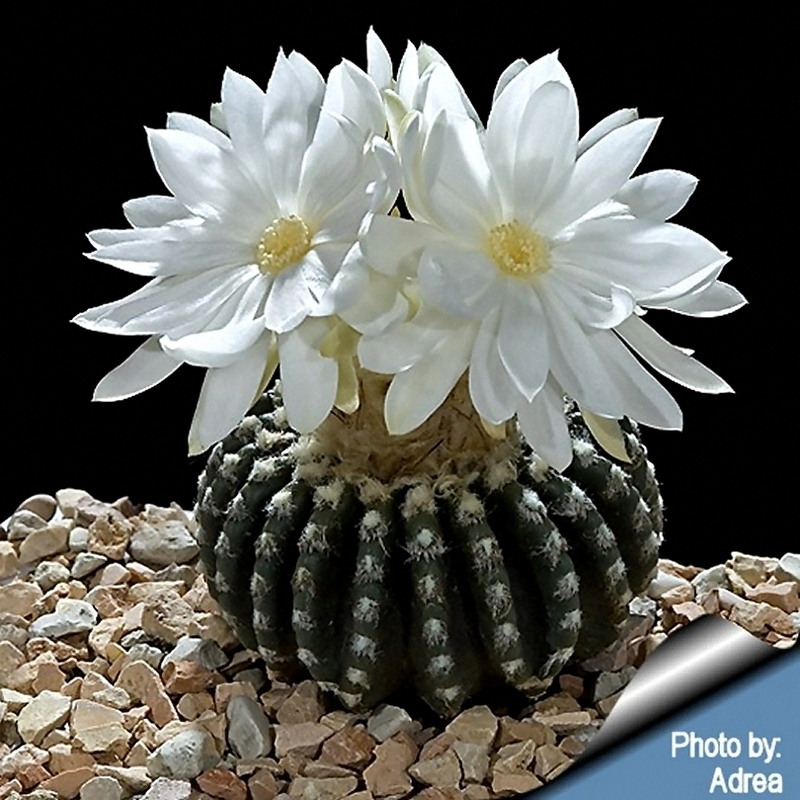 Description: Solitary globose cactus with a radially segmented body, ca. 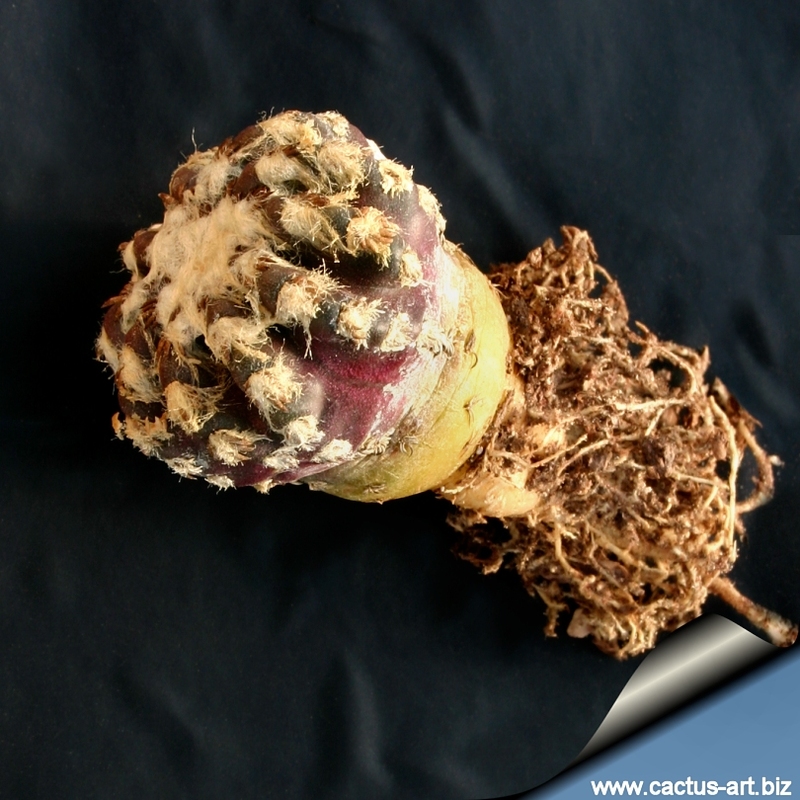 5-6cm cm in diameter (up to 8 in culture) Plant height with cephalium 4 to 5 cm; ribs 12 to 20 prominent with 12 to 14 areoles per rib on plants with cephalium The colour of the epidermis is at first green and later dark red/brown. radial spines 8 to10 light coloured recurved backwards in a comb like arrangement, 2-4 mm long. Flowers: The deliciously fragrant nocturnal blooms are 7.5 cm long, 6 cm inches in diameter . They come in profusion in summer, out of a cephalium covered by whitish to light brown wool and bristles. Fruit is white. 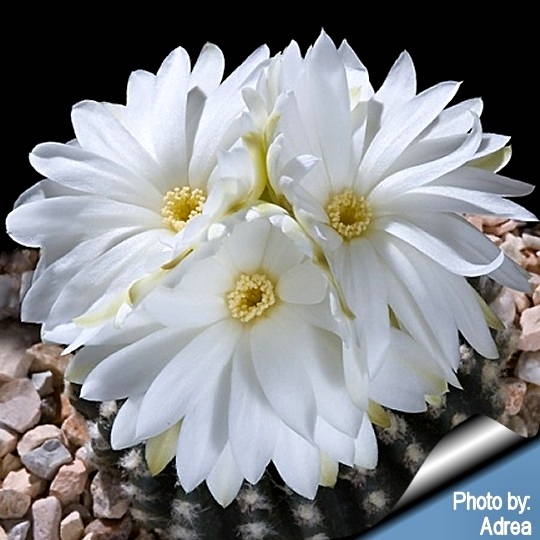 These cacti are not easy to cultivate, but when grown to maturity, however, they possess an exotic look shared by no other cacti, and they’ll generally attract a lot of attention. Cultivation: it is rather difficult to grow and frost tender, should be kept at above 15° C if grown on its own roots (8°C if grafted) need full sun or afternoon shade. Young seedlings are generally grafted because they are slow growing and very rot prone when kept on their own roots and though they can’t endure long stretches of total dryness, too much water will rot them, as their weak root systems tend to be inefficient at sucking up water from wet soil. They generally resent being repotted and can take a long time to establish. Origin: North-west of Grao Mogol in the Serra do Barrao in Minas Gerais, Brazil at an altitude of about 1000m. The soil consists of quartzide-sand and gravel. 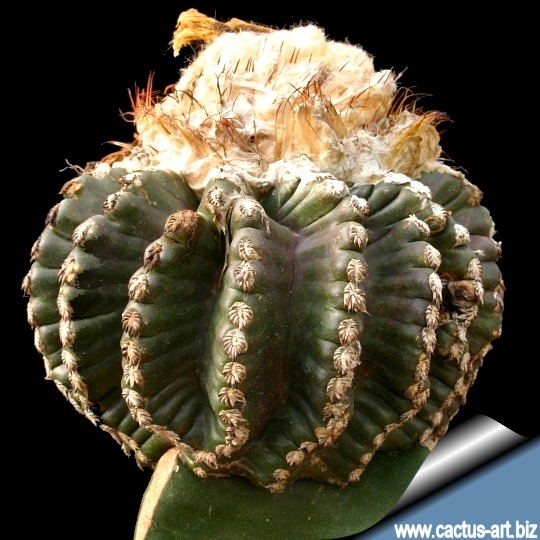 Photo of conspecific taxa, varieties, forms and cultivars of Discocactus horstii forma variegata.